Owners allow their dogs to develop the Napoleon Complex when they let them get away with bad behavior they would stop in a bigger dog. 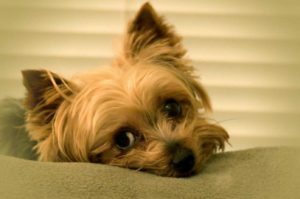 A hefty percentage of phone calls to dog trainers and behaviorists are for help from anxious owners of small dogs that display Small Dog Syndrome (SDS). The syndrome, which also is amusingly referred to as “The Napoleon Complex,” occurs when your dog thinks he’s the boss. Even though you may need a magnifying glass to see the dog, they have become they are the absolute and unchallenged sovereigns of their empire, thanks to you. The dilemma is, most dogs don’t want to be the boss. They only do it because they sense you don’t possess the leadership skills required for their pack to survive. 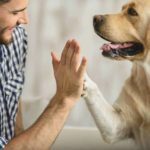 Giving this responsibility to your dog can raise their anxiety and intensify their level of stress. The Napoleon Complex does not make for a well adjusted, secure and most importantly, happy dog. Most small dog owners don’t realize or want to admit they are the source of the problem…not the dog! Dogs live in the moment. If they can get away with something, they will repeat the behavior. Now, you are dealing with a bigger issue and potentially serious and dangerous behavioral problems. It is time for you to step up to the plate, and assume your responsibilities. You are not doing your dog any favors, by allowing inappropriate behavior. Sadly what often happens is, the situation gets so out of control, that the dog is surrendered to a shelter. Since they will be hard to place in a new home because of behavioral problems, they are frequently among the first to be euthanized. So, before that happens with your dog, let’s take a look at the problem, the source, and the remedy. What causes The Napoleon Complex? Dogs are social animals. They have survived for thousands of years, because of it. Most likely, your dog was taught doggie manners when they were a pup, by their littermates and their mom. They learned each member of a pack has their place within that group. Being adorable did not matter! Dogs are inherently programmed to follow the leader of their pack without question. They perceive you and their family as their pack. In homes without fair, firm and consistent leadership from the human members of the pack, there is anarchy! Because you did not reinforce pack status by keeping your dog at the bottom of the pack, your microscopic canine now has transformed into a merciless terrorist. The roles are reversed…your dog rules the house and the pack! You are merely there to tirelessly serve them. Usually, owners of dogs with Napoleon Complex, have endless excuses for their dog’s inappropriate behavior. Everyone thought it was so cute or funny when it was a pup, so they allowed him or her to get away with unacceptable behavior. Ironically the same inappropriate or aggressive behavior would not be tolerated for a minute if the dog were larger. In due time, there will be an unfortunate incident. That’s when the owner is on the phone, pleading for help from a trainer or behaviorist. Separation anxiety — become panicked, to the point of nipping, when owner or guests leave the house or even go to the bathroom without them. Does not respect boundaries and is possessive of furniture. Wary of strangers an children. Sits on your lap while you are driving. 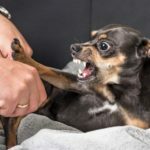 Unprovoked signs of aggression: growling, baring teeth, snapping, and even biting. Lack of socialization and coping skills. Jealousy: claiming ownership of their human. Walks in front of the human during walks or going through doorways. You are the source of the problem. By allowing your dog to get away with inappropriate behavior, you are simply reinforcing it. 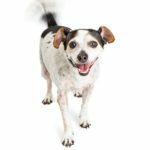 Since dogs live in the moment, a correction must be made immediately for your dog to associate that particular behavior is not condoned. If the correction is not made, the behavior will continue or get worse. The remedy is not easy, because up to now let’s face it, your dog has been spoiled rotten. To be effective, you must first modify your thinking and behavior. Retrain yourself, before you can help your dog. The best way is to remember, when your dog pays your mortgage and bills, you will follow their rules. Until then, you are the boss! You can start with socialization and positive reinforcement, punishment-free obedience training. 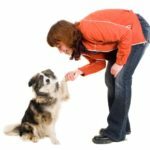 Find a local trainer that applies positive reinforcement methods. Preferably, get your dog into a group class. No free lunch! Your darling little poochie must learn they have to earn everything they get. That includes meals, treats, toys, walks, playtime, rewards, your attention… everything! Since you paid for that bed, couch or chair, it is your throne, not theirs. Reclaim it, today! They have to learn to respect your boundaries. Ignore their drama when you leave the house. If they nip at you, make an immediate correction! You do not need your dog’s permission to leave the room or house. You are not their possession. Set boundaries. Keep them out of the bathroom when you need to use it. Do not allow them on your lap when you are at the computer, or on the phone. Make them earn the privilege of sitting on your lap. You designate the amount of time they are allowed up there, not them. Keep them off your lap, especially when you have guests. They are not allowed to claim you as their property. Teach your dog, humans go through doors first. Do not give in to your dog’s demand to be carried all the time. They have four healthy legs! Let them use them. Walk your dog. The exercise will help burn up some of that pent up energy and anxiety. A tired dog is a good dog! Exercise, exercise, exercise! You decide when playtime starts and ends. Dogs learn manners from other dogs. Not every dog will tolerate your dog’s behavior. They may need to be knocked down a peg or two by another dog. That doesn’t mean they have to get hurt, but if another dog is teaching your dog manners in a dog appropriate way, stay out of it! Teach your dog to heel. Do not allow them to walk in front of you. Get rid of that retractable leash. Reeling them in and out like a fish on a hook only reinforces pulling. Do not tolerate jumping on you. Ignore them, until they are calm. Only then, do you acknowledge them. Do not reward their demands for attention. You decide when attention is to be given…and it is only when they do not expect or demand it. 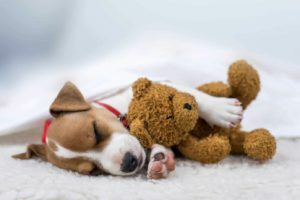 By constantly reassuring your dog, you are inadvertently intensifying their level of stress and their inability to cope with day-to-day life. Take control over food and toys. You paid for them…they are yours! 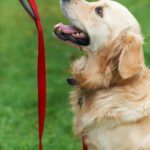 Make your dog earn their meals and toys by following your commands, such as sit, stay, down, wait or leave it, before they are rewarded with what they want. Do not tolerate their bullying of other pets or animals. It is not cute. Immediately make a firm correction when your dog’s behavior becomes dictatorial. You must step in as the leader, to protect the other members of the pack. Most importantly, praise them when their behavior is appropriate, so they can make the association, this behavior makes the boss happy! That is the behavior you want to reinforce. Positive reinforcement goes a long way. They will soon learn life is good and less stressful when the boss is happy. The only way to change your dog’s behavior is to change yours. If you are afraid of your dog, call a professional dog trainer or behaviorist. Your dog will sense your apprehension and use it to their advantage. Before something regrettable happens or before you give up on them, help them learn to be a happier dog. 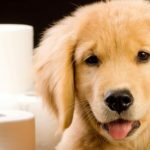 Very helpful article which I hope to put into application with my Minature Schnauzer!